Just about every type of cuisine has a signature spice blend they can call their own. For Puerto Ricans, it's adobo--a balanced mix of herbs and spices like garlic, oregano, and cumin. While store-bought versions are easily found in many well-stocked markets around the country, they're usually loaded with MSG, excessive amounts of sodium, and other unnecessary additives. Making your own DIY adobo spice mix takes just a few minutes, and you'll end up with a mix that's healthier and more flavorful than the grocery store versions. As a bonus, making it yourself gives you the opportunity to personalize it to your tastes. Like a little more garlic or a bit of a heat from extra pepper--increase those amounts a bit and make it your own! I love smoky flavors, so for my own homemade version, I swap the traditional sweet paprika for smoked Spanish paprika, which gives it a smoky modern twist. NOTE: One thing that I leave out of my adobo recipe is salt. 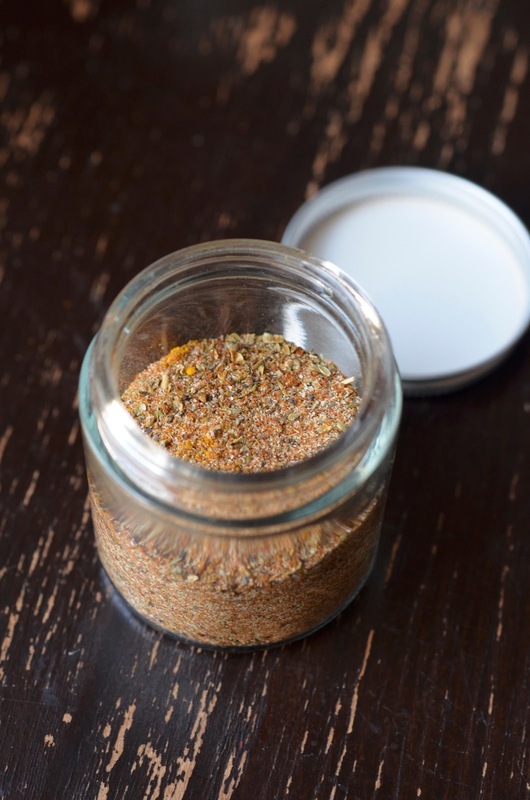 Many other recipes and store bought versions include it, but leaving it out of the spice mixture allows you more flexibility to control the salt in any dishes you make with the spice blend. Whisk together all ingredients and transfer to a glass jar with a tight lid, such as a mason jar. Store in a cool and dry spot for up to 1 year.